So it's no surprise that I'm obsessed with Nutella. I know, I know....it's not the healthiest of breakfast options, but think of it this way: will oatmeal make you happy? No? Didn't think so. 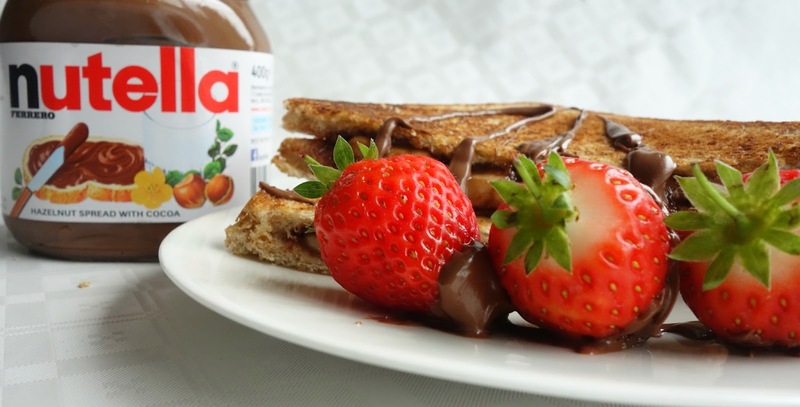 Nutella is so versatile and is perfect for those weekend mornings when you just want to forget all the nonsense that went on at work/school. It makes you feel all fuzzy and loved. 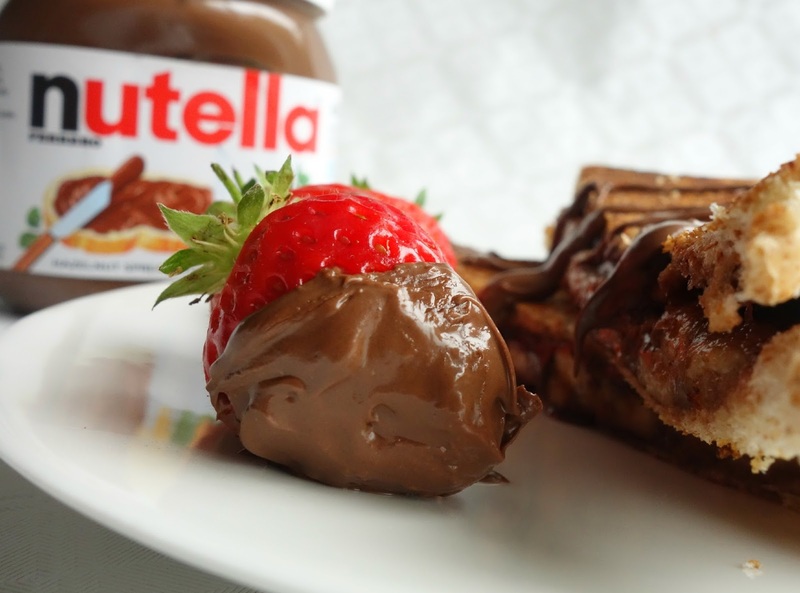 Wait...do I have feelings for Nutella? 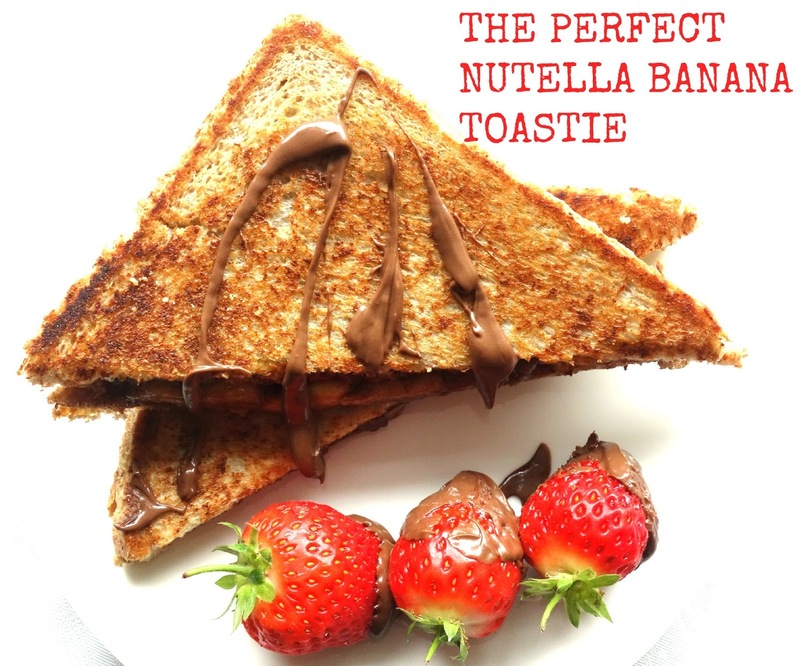 Anyhoo, this is an updated version of my Nutella and banana on toast post because this one is wayyy better. I have no idea what I've been doing with my life. Generously spread nutella on two slices of bread. Slice the banana (make sure they're not too thick). Place sandwich on a hot pan/skillet with melted butter (the butter gives it the golden brownness). 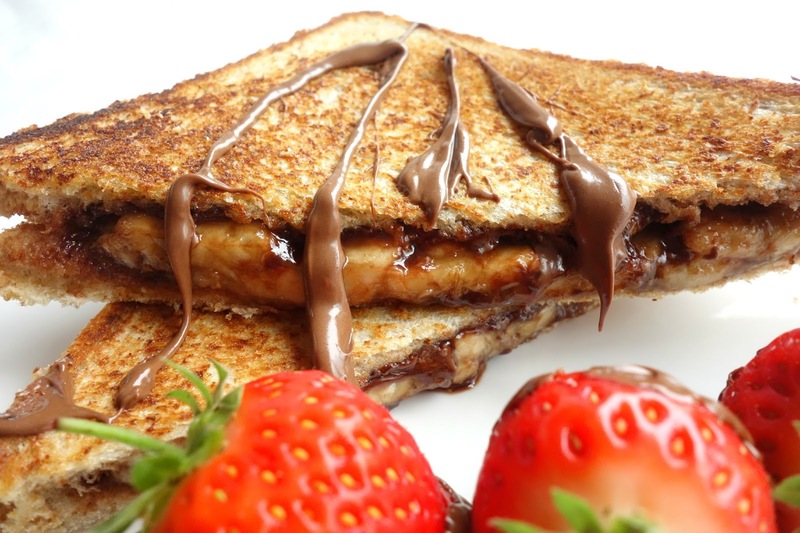 Once each side is done toasting, remove it from the head and drizzle warmed Nutella over the top. It's not that complicated, haha. 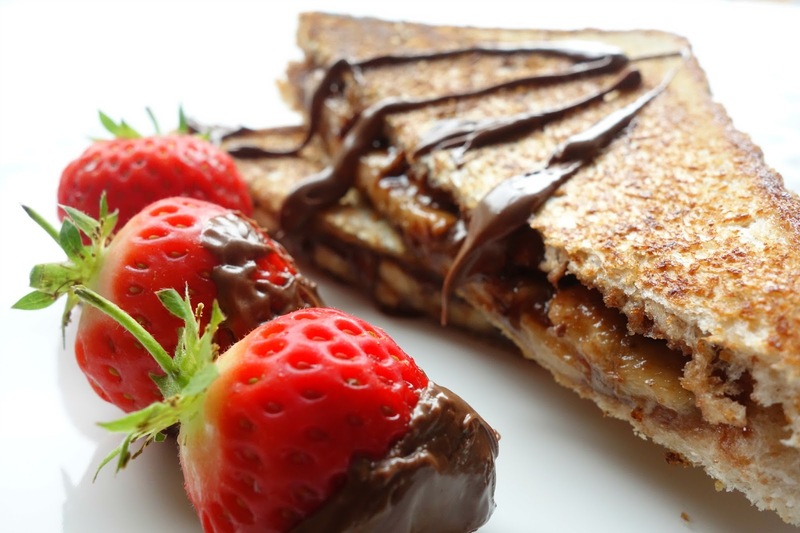 I love Nutella-covered strawberries, so I threw a couple of them onto the plate to make life even more fun. See, this is why I don't need friends. 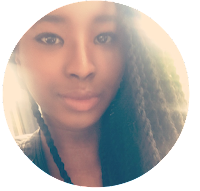 Nutella got me, baby! What's your favourite naughty breakfast?